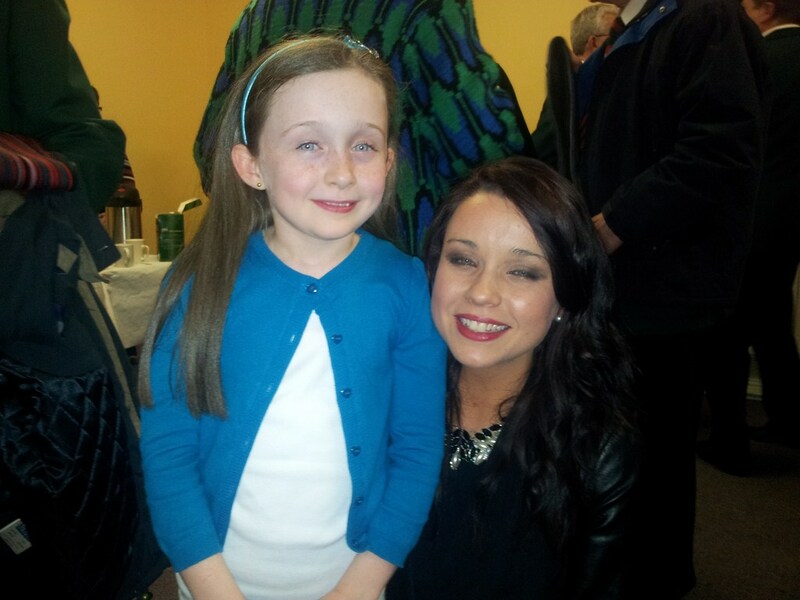 Rebecca Cresham, MMVC accompanist and her niece. 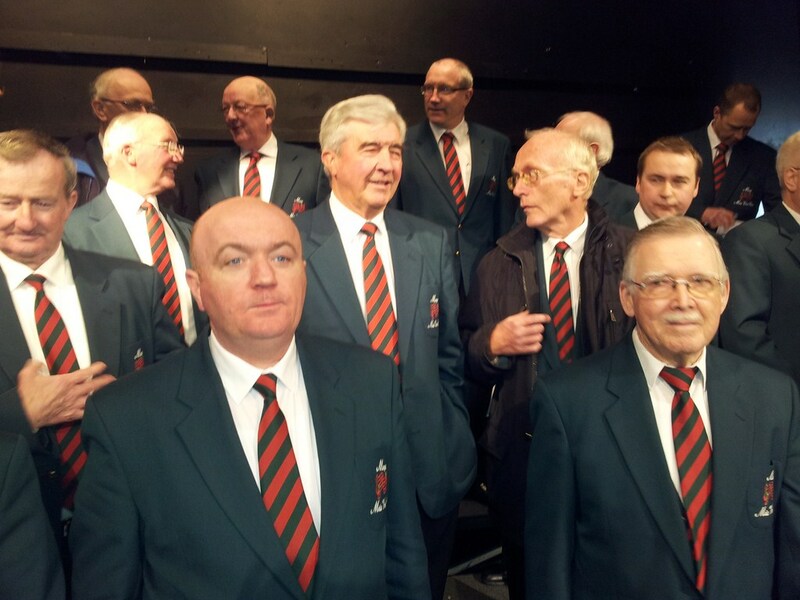 For those of us involved for many years with Mayo Male Voice Choir, the night of Friday 12th April in Louisburgh Town Hall has to be right up there with the very best - a special night and a very special performance. As with every successful sports team, so to with choirs, achieving success depends on the level of practice you put in, and as a choir we felt lately that we were due a very big performance as our practices have been going very well and it has been a pleasure to be a part of it. We were heading home after practice with amazing songs such as the "Shanandoah" and "The Rose" ringing in our ears in four part harmony! Sean Mullahy and Val Gannon out front as choir prepare on the night. The concert opened with the Junior Choir who performed brilliantly - there must have been many proud parents in the packed audience delighted that they had come along to support their talented stars of the future. The MMVC were next on stage, directed by our accomplished director, Deirdre Lee and ably accompanied by the talented Rebecca Cresham, on piano at first and later by the indefatigable master himself, George Lee. From the first song "Nothing Like a Dame" through "When I'm 64" and on to the very popular "Teddy Bears Picnic" it was obvious that the members of the choir were really enjoying singing and the audience were enjoying hearing all the great songs. 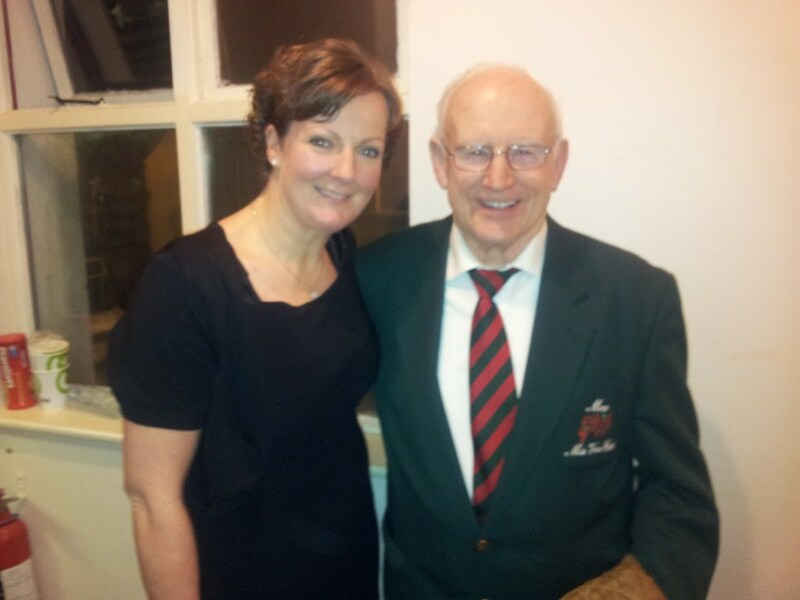 Catherine Macleod, Louisburgh Junior Choir Director and Michael Basquille, MMVC, who sang a duet together. Louisburgh native, Anne Marie Gibbons, mezzo soprano came on stage and performed several songs including the beautiful "Time to Say Goodbye". At that point you could hear a pin drop in the hall. She also sang "O Virgin of the Angel Host" with the MMVC. The Louisburgh audience were proud to welcome back one of their own. A special surprise was announced as the evening progressed when Catherine Macleod, the Junior Choir director was invited on stage to sing a duet with Michael Basquille, of MMVC, the beautiful "Let the Rest of the World Go By". A sustained round of applause followed Catherine all the way to her seat in the audience. However, the highlight of the evening had to be when the Junior Choir joined MMVC on stage and sang "A Mhuire Mháthair", without any rehearsal with the MMVC beforehand. They sang brilliantly and were not in the least overawed by the big men behind them. Catherine said afterwards she was very moved and extremely proud of her protégées. 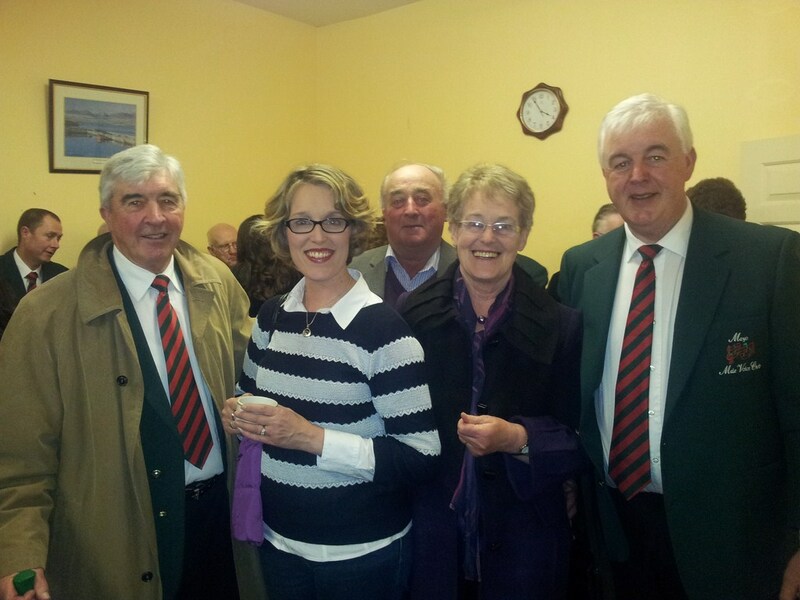 Louisburgh United: Jim Tiernan, Anne Marie Gibbons, soloist, Michael and Bernie Gibbons (Anne Marie's parents) and Michael Tiernan. The curtain came down on a truly memorable night with a rousing rendition of "Alexander's Rag-Time Band" after which the MMVC got a standing ovation. Tea and snacks were gratefully received upstairs before the MMVC members adjourned to the Bun Abhainn pub for a well earned pint or two! Fair play to Jim Corrigan of Order of Malta, who stayed till the end to ensure that all boarded the bus safely!